… is to provide rides and social events in an easy going and fun environment, where you can meet other like-minded people. Do you dream of freshly laid bitumen? Do you only leave the house to work and ride? Do you yearn for tight, winding mountain roads? Can you only relate to other riders? Are you addicted to riding? Promoting and participating in runs, bike shows, rallies and community assistance projects. Branches meet monthly with many varied rides, days out and social get-togethers. Membership $30 per annum. Join us for the fun and pleasure of motorcycling! Bikers Australia membership is open to anyone with an enthusiasm for motorcycling. Organised events such as touring rides, weekend rides, day-rides, maintenance days and some social activities. Technical help; the club possesses a number of special tools for working on BMW motorcycles for members use. BMW ownership is not essential for membership, only an interest in riding and/or touring. Bombala Motorcycle Association was established in 1992 as a social motorcycle club for motorcycle enthusiasts. Bombala is home of the Annual Celebration of Motorcycles and the official sister city to Stugis U.S.A. Click HERE for info on the Annual Celebration of Motorcycles at Bombala. 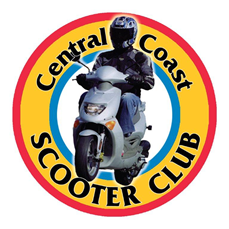 NSW Central Coast Scooter Club was established in 2007 and consists of riders of all ages both male and female riding scooters predominantly of 150cc capacity and up. We meet for a ride at Hungry jacks at West Gosford on the last Saturday of the month at 1 pm. We do not ride in the rain or on gravel roads. Other rides and events plus a full run down on who and what we do is contained on our website. Visitors are always welcome. The Clubman Tourers Motorcycle Club are about 90 motorcyclists from Sydney, NSW and beyond. We are a diverse group of all ages, walks of life and sexes (a healthy proportion are female riders). What unites us is a love of all kinds of riding and of spinning exaggerated yarns about it later over a beer. We’re as informal as possible. We have a badge but it’s not a ‘patch’. We’re here to enjoy riding and to encourage others to do the same. We favour ‘touring’, ‘sport riding’ and dirt-touring. We do day runs, rallies, track days, long tours, short tours and all this on tar or dirt or both. Socially: monthly meetings for reports and planning, parties, pubs, maintenance days, restaurant nights (and the gossip). Our bikes: some are shiny, some are wrecks, some are loved, some are cursed but they all get used. They get us out there. Come and ‘get out there’ with us! The DSMRA is an organisation looking at the big picture for trail riders, adventure riders and country touring, Australia wide. The DSMRA was formed in 1995 as a direct consequence of the current trend of land closures throughout Australia. Got a road registered off-road bike? Talk to us. 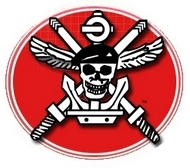 Visit the Dual Sport Motorcycle Riders Association website. 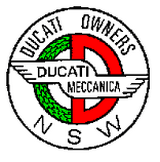 Ducati Owners Club of New South Wales Inc. The Ducati Owners Club of New South Wales Inc. was started back in 1976 to promote and encourage motorcycling with kindred bodies in fostering and maintaining motorcycling as a sport. The Club is affiliated with Motorcycling Australia, which allows members to obtain a racing license. Other benefits include assistance with spare parts, technical restoration information and access to the Club’s extensive archives. Club activities include social outings, regular day and weekend rides, a Christmas party, The Thunder Rally, maintenance days, BBQs and the Club Concourse. A bi-monthly newsletter provides all members of the club with info on all activities, club classifieds and plenty articles of interest. The Club is also designed to provide members with a source of information about their bikes, a place to meet like-minded people and generally enable Ducati owners to continue with their interest in the marque. More information can be obtained from our web page. A group of lesbian riders that get together to have fun, socialise & ride motorbikes. We organise day rides, weekends away and occasionally weeks away. We have other major events during Mardi Gras season including Bike & Tattoo Show and Mardi Gras Parade. DOB is a non-profit organisation that raises money for various charities with our major fundraising going to Pink Ribbon. All types of bikes and bike sizes are welcome as well as ‘L’ & ‘P’ plate riders. For more information, please visit our website for the latest DOB events. 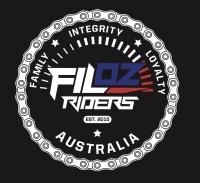 Filoz Riders Australia Motorcycle Club is a law abiding, non-profit, social motorcycle club that dedicates to support our brothers and sisters and not only in the ideology of freedom on riding motorcycles. Nevertheless, this group will also extend a helping hand to the community most especially the under privileged people locally and abroad. Every FILOZ member will stand proud as a role model in the society, yet being humbled in achieving every milestone in the day to day life. FILOZ will stand with its basic foundations such as Family, Integrity, Loyalty, with Love, Respect and Humility. 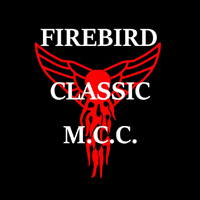 Firebird Classic MCC is a social club for all riders, male and female, as well as all bikes. To join, you must be a motorcycle rider or permanent pillion, hold a current motorcycle license and ride a road-registered motorcycle. We encourage all models of motorcycles from veteran/classic to current. Firebird Classic MCC is about riding, having a great time with a great close family of friends, going away for weekends, attending rallies and events and enjoying the biker lifestyle. For more information on becoming a member of Firebird Classic MCC, please phone 0423 490 460 or email firebird_mcc@optusnet.com. Girls Ride Out is a social group of mostly women, who stay in touch primarily though email. Catering for learners through to the more experienced, Girls Ride Out has Monthly Rides, Charity Events, and operates a support network for learner riders (Learn N’ GRO), Ladies Racing Class (GRO Racing) days and Maintenance Days. Visit our website for the latest GRO events. 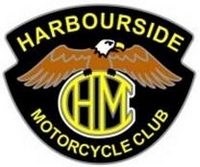 Harbourside Motorcycle Club is the club for owners of American V-twin motorcycles. We currently have about 100 members including associates, that given any excuse will group together to ride their Harley Davidson Motorcycles. We hold monthly meetings, and being a very active Club socially, conduct regular activities in the form of Monthly Day Rides, Overnight rides, Annual Rides interstate, and social evenings. Community assistance is also one of our ongoing projects by way of regular donations to the Humpty Dumpty Foundation. Although not directly affiliated with HOG, most members are currently international members of this worldwide organisation. For more information, please email the club. Harleys for Helicopters (H4H) evolved in September of 2001. It is the brainchild of David Golledge, who had a vision to get a few mates together on their Harleys and go for a ride to raise some money for the Westpac Rescue Helicopter Service. This initial concept developed beyond expectations in a very short period of time, and is now one of the most productive, both financially and promotionally, of all of the support groups for the service in Newcastle and New England regions. The Harleys for Helicopters Support group has a major fund-raising event in October each year, the Turkey Run; a memorial ride from Newcastle to Uralla. The Turkey Run attracts 300 plus riders and pillion passengers from all over NSW and interstate to be part of this event. Harleys for Helicopters encourages all riders and all makes of motorcycles to join in all rides and events. The Liverpool Chapter, Australia Harley Owners Group is made up of people from all walks of life. The cement that bonds us comes from our love of our motorcycles, the open road and the friends we meet and keep along the way. And not just any motorcycle, mind you … we ride the best motorcycles ever built: Harley-Davidson. The Liverpool Chapter of Harley Owners Group promotes responsible motorcycling activities for H.O.G. members by conducting chapter activities and encouraging participation in other H.O.G. events while maintaining a family-oriented philosophy. Monthly meetings at the Moorebank Hotel are a good opportunity to catch up with friends while getting the latest chapter news. Rides (short rides, long rides, overnight adventures) building memories and stories to tell and share. Visit the calendar for all the latest events or contact our Activities Officer. Visit the Harley Owners Group, Liverpool website. Illawarra Riders — an internet based group who welcomes riders and pillions of all ages and experience irrespective of the bike they ride. If you don’t have a bike at the moment but have an interest in motorcycles, then you are welcome — join up and come along to one of our regular social nights. We promote rider safety on our rides and encourage all riders to ride at a level at which they are comfortable and always within their individual limits. Our rides may vary in length from a few hours through overnight stays and on to multiple day tours throughout the year to any number of locations. 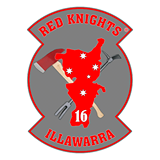 Visit the Illawarra Riders Website — follow the link to the forums. ‘JUST GIRLS’ is strictly for the girls! We are an all-female group, formed in 2001 and based in the Newcastle Hunter Valley area. Our members are from far and wide, out to enjoy our common passion for two wheels and fun!! We have rides and weekends away, including one ‘men allowed’ weekend annually! The girls are encouraged to attend various rallies and events throughout the year and we have taken on the challenge of organising Newcastle’s Pink Ribbon Ride. There are no membership or joining fees — our aim is to have a fun ride at your own pace, with a distance that isn’t exhausting, the road challenging in parts, but not daunting, and above all enjoyable! So whether on your Ls or with years of experience, young or young at heart, come and ride at your own pace, broaden your horizons and have a great time! More information? Contact Lyn (02)4987 4996 or visit our website. The Kawasaki Sportsbike Riders Club (KSRC) was formed in late 1999 as an online discussion and ride forum for owners of Kawasaki Sportsbikes. The aim of the group was to bring together Kawasaki riders to discuss their bikes and organise rides and social events. The group has grown very quickly and has well over 1000 members Australia-wide. The forum is very active, light-hearted and has rides, social events and get-togethers regularly posted. Rarely a weekend goes by that KSRC members aren’t up to something. Membership to the online forum is free and open to everyone; you don’t even have to ride a Kawasaki to join. Visit the Kawasaki Sportsbike Riders Club website. Essentially we are a drinking club with a motorcycle problem! Laverda ownership is not requisite for membership, as long as you have a motorcycle and an interest in Laverdas and/or their owners, you are more than welcome. MAATES (Machinery Appreciation and Transport Engineering Society) is not just a Bike club but all sorts of Machinery from Boats to Aeroplanes. Yet most members have at least one motorcycle. We are primarily based in NSW and are approved for RMS Historic Registration Scheme and now via MCC the new Classic Registration Scheme for modified historic vehicles. Basically we are here to have fun with the minimum of rules possible. McMod is an organisation for those afflicted with the desire to build or radically modify otherwise perfectly good motorcycles. The aim of the club is to encourage motorcycling and the camaraderie that goes with it. In particular, the use of classic motorcycles — be they 50 year old British, middle of the road Russian or 5 year old Japanese — so that the skills and innovations of generations of craftsmen are not lost forever in the scrap pile of modern society, but are preserved and brought to life for generations to come. Northern Rivers Motorcycle Enthusiasts Club Inc.
Social Motorcycle Club serving the Northern NSW and South East Queensland Regions. No restriction on rider age, experience or type of bike ridden. Club runs, events and social gatherings. We support charitable events and promote motorcycle and charitable events by way of our Calendar. You can subscribe to the calendar to receive an emailed events digest sent out weekly. Event submissions welcome. anyone behind (intentionally anyway). Visit our website. ORoadSports is a non-profit organisation incorporated in NSW. We are a community group that shares a common interest in motorsports. The Oroadsports website is a place for members to share information, organise group meets, track days and road rides. Members, guests and the public are invited to attend any Club Events. View the Oroadsports Event Calendar. 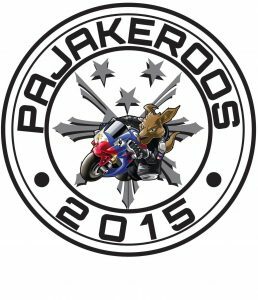 PAJAKEROOS was established in 2015 as a social riding group for Filipino riders around Sydney. Since then, it has evolved from a social riding group to a family of individuals from different walks of life who love to ride. Our members are from a Filipino background and we aim to serve our members and respected communities in everyway we can while enjoying our passion for two wheels. We promote safe riding and following road rules in all our events; everyone is always welcome. The Patriots are a motorcycle club for regular, reserve and ex-serving members of the defence force (Army, Navy and Air Force). The Patriots have been around since 1993 and were established because at one time or another, most of us would have liked to join an established club, but found that due to constant postings, this became difficult to achieve. The club has a chapter or sub-chapter in each state of Australia and a chapter in New Zealand. We also have Patriot friends in the United Kingdom who also provide the same welcome to members worldwide and we have a honorary member in Wyoming, USA. The Pinoy Motorcycle Club is a club for Filipino bikers in Sydney. SNR is an open group hosting weekly rides to give motorcyclists the opportunity to safely enjoy their Saturday nights. Everyone, including learner and provisional riders, is welcome to attend our rides around Sydney’s landmarks. Formed in November 2006, Sydney HOG Chapter is Australia’s fastest growing HOG Chapter. There’s no better way to see Sydney than from the saddle of a Harley Davidson motorcycle. Our culture is welcoming, friendly, non-political, informal, prestigious, innovative, non-elitist, and most of all fun. We welcome diversity and value contributions from all our members. We encourage partner and family involvement. Our ride philosophy is all about the ride. We promote safe riding and skills development through training, gymkhanas and group rides. We are the HOG Chapter that can and does ride. It is our intention to put Sydney HOG Chapter on the national and international HOG list of premier Chapters. A Sydney ride group that meets on Tuesday nights for cruisey after-dark rides around Sydney’s better roads. Monthly weekend rides are also a feature of the ride calendar. doing it hard and fast in the dark. The name comes from a poem of the same title by Alfred, Lord Tennyson. It tells how the great Greek hero Ulysses, now middle-aged and securely in charge of his kingdom of Ithaca, is getting bored with things around him and longs to go adventuring again with his shipmates of old. It describes very well indeed the sort of person who still has enough spark to go on riding into middle and later years. The club has grown to over 120 branches spread throughout Australia, and continues to grow. Click on the logo to locate local branches that arrange rides and social functions for the club members in their location. Learn more about Ulysses Club.